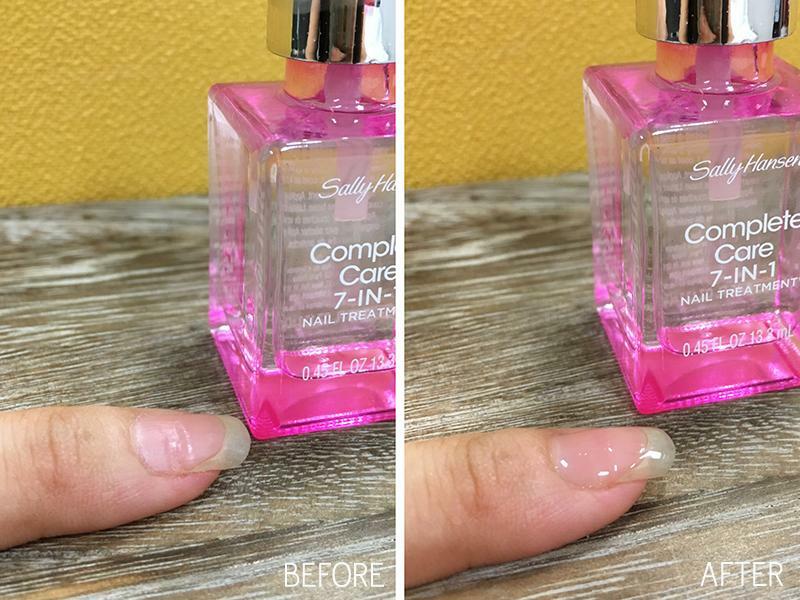 Sally Hansen Nail Treatment comes with an exclusive patented formula, with Avocado Oil, Sea Salt, Pomegranate Extract and Calcium, immediately protects and continuously nourishes nails, helping create the perfect foundation for any manicure. After just 3 days, this product promises that your nails will look shinier, stronger, mega-moisturised and brighter with ridges filled. I put it to the TEST right here! 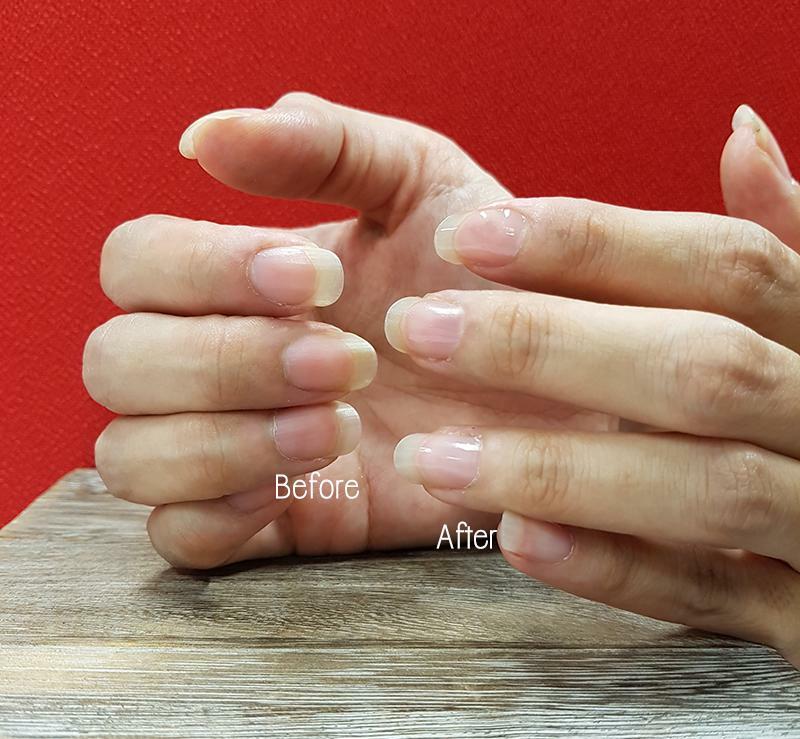 After applying, my nails were shiny, smooth and felt a lot stronger. I kept noticing how shiny my nails were compared to my other hand. You may think that the Sally Hansen Nail Treatment looks like just any other top coat but look at what it did for an infected nail that I have (had some injury on it so that’s why my nail had a ridge like that). See how much smoother the surface is after applying! It doesn’t just look smoother, it feels smoother too. I really like that the treatment can be used alone or with colour nail polish as a base coat or as a protective top coat. That instantly eliminates having to use any additional products to get healthy nails. Super time-saver. 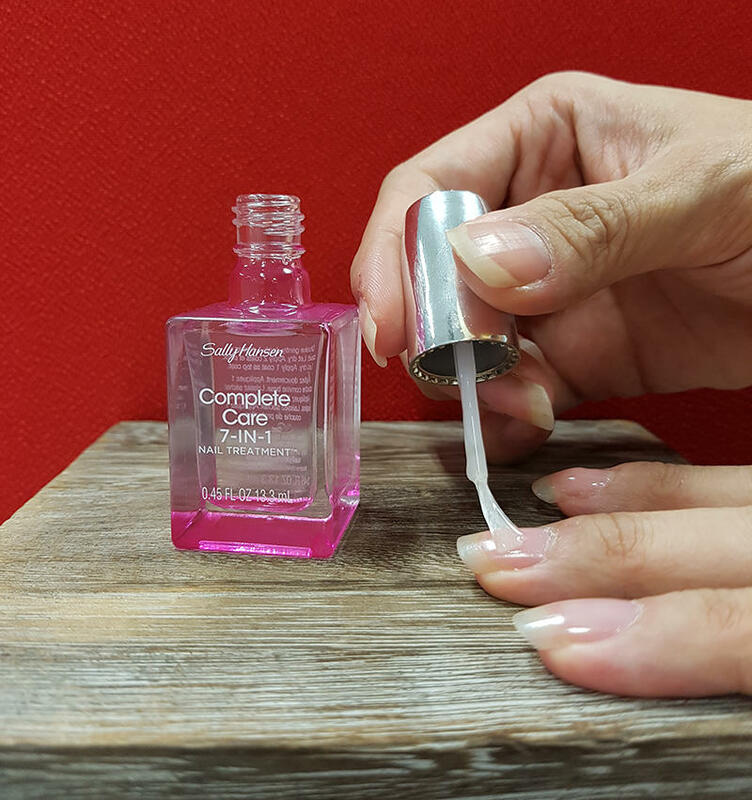 This is easy to apply and it dries within seconds, leaving a smooth and shiny finish. Upon first application my nails already looked visibly healthier and brighter. Such a time saver! 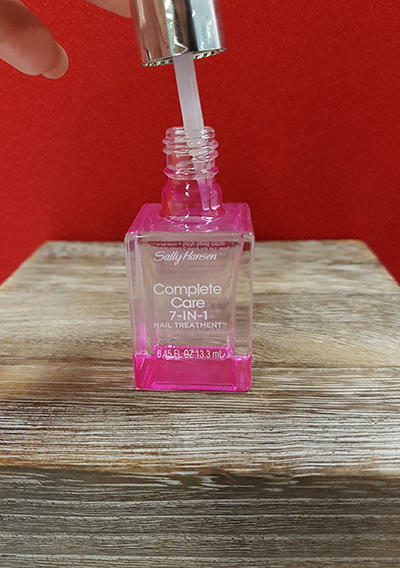 I am looking forward to keeping up with the Sally Hansen Nail Treatment and seeing more results – although I am already impressed with it so far. Mobile Manicurist – Get your nails done at home or anywhere! Home DIY Gelish Nails – You heard it right! It’s now possible! More beauty reviews await you here! 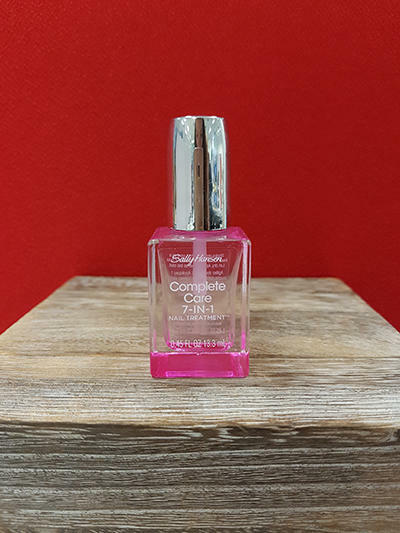 Complete Care 7-In-1 Nail Treatment retails at $19.50 a bottle and is available at Watsons, Guardian and selected departmental stores. *Based on a Nail Care Survey conducted by Coty Singapore, April 2016. Sample size 422. Previous Post Back To Work With A IP Camera Installed At Home! Next Post I Took The Plunge & Got A Full Face Ultherapy Treatment.